Make your next wood burning fire a Mystical Fire! 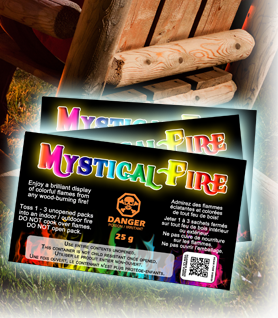 Mystical Fire is a campfire novelty that will provide colorful flames for any wood burning fire! 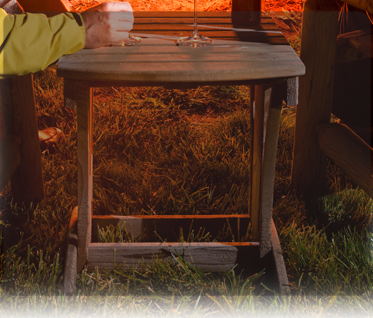 Everyone who enjoys Bonfires will love watching the color of the flames change for up to a full 1/2 hour with this bonfire novelty. It's the best thing since toasting marshmallows! 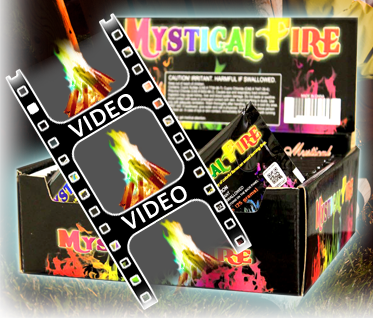 Mystical Fire provides a whole new way to enjoy a wood burning fire. orders in Canada & the lower 48 States. Shipping/Handling Fees for orders placed outside Canada & the lower 48 States will be quoted. Mystical Fire is a great addition to any product line and offers a fantastic rate of repeat sales. We offer exceptional discounts on volume orders. For more information regarding volume orders for wholes, distribution or retail fill out the form below and submit. You will be contacted at the address you provide below.